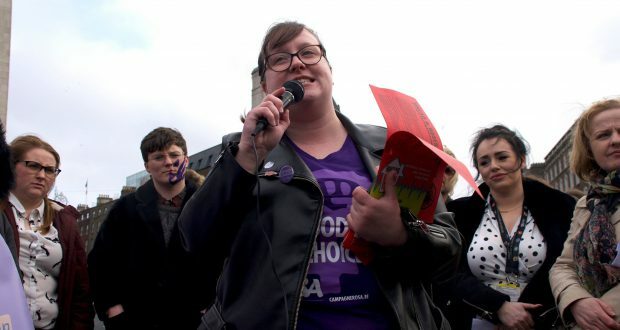 Rita Harrold, a childcare worker and leading socialist feminist, is the Socialist Party’s candidate in Dublin for the 2019 European elections. As a founding member of ROSA – Socialist Feminist Movement in 2013, Rita has played a significant role in the repeal movement and winning legislation for choice and abortion up to 12 weeks on request. Alongside Ruth Coppinger, TD for Solidarity, Rita helped the #WeStandWithHer and #ThisisNotConsent protest, called by ROSA, against victim blaming in the courts. She has been an activist who has fought and organised against the introduction of third level fees, as well the household tax and water charges. She has consistently fought for the complete separation of Church and State. She has been active in opposing the profiteering of landlords and developers and stands for a ban on all evictions, real rent controls and the building of public homes on public land. Socialist feminism is key to Rita’s platform, and challenging gender-based violence, a product of the sexist, divided and unequal system we live in, is a central part of her campaign. Gender-based violence continues to threaten women and LGBT+ people on a daily basis and the recent murders of three women in Ireland are tragic examples of this. International Women’s Day saw millions protest and strike against femicide and intimate partner violence around the world. As a childcare worker, Rita will lead our campaign for free childcare that puts the needs and wellbeing of children, parents and workers first. Sexist ideas about caring roles, parenting and “women’s work” means that the needs of parents, especially lone mothers, and the important work of childcare professionals are criminally undervalued. We need the building of state run creches to provide free childcare for all. 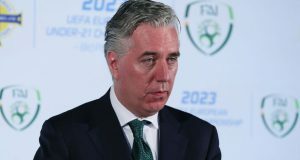 The pay and conditions of healthcare workers and health services for patients have been devastated after a decade of austerity, leaving patients languishing on trolleys and obscene waiting lists and nurses and midwives taking militant strike action. We are fighting for the urgent creation of a national health service, including comprehensive mental health care free at the point of use in the interests of patients and staff. Humanity is facing imminent climate crisis and the capitalist establishment has utterly failed to take serious action, so school students have rightly taken to the streets in their millions to demand “system change, not climate change.” We stand for free public transport, nationalisation of the energy companies and utilising their resources to transition to renewable energy and taking the agri-business into democratic public ownership so that food can produced on an environmentally sustainable basis. We need to break with a capitalist system where 100 companies are responsible for 70% of CEO emissions. Rita’s campaign will highlight the need for us to break with a rigged capitalist economy that is based on increasing exploitation through low pay and precarity. It’s a system that sees landlords and developers amass enormous profits and wealth while we get a housing crisis. It’s a system that promotes sexism, racism, transphobia and homophobia. We oppose a racist and capitalist EU run in the interests of the bosses and bankers. We will be fighting for a socialist Ireland in a socialist Europe, where it’s wealth and resources are taken out of the hands the big business and placed into public ownership under democratic working-class control. 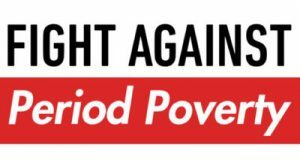 Anyone seeking to fight oppression, injustice and inequality and topple the rotten capitalist system should join Rita’s campaign to build the socialist feminist movement!